Have a play date with your favorite princesses! Create a personalized crown with the Latina Princess, enjoy a tea party with Belle, and help the Frog Princess create recipes. 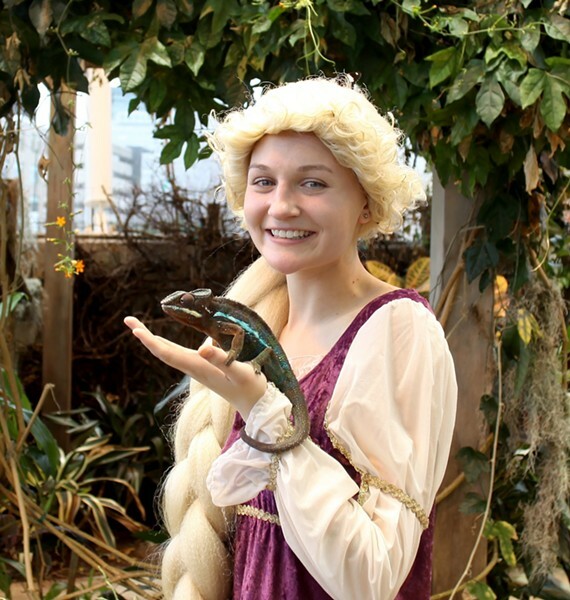 Take aim at dragons with the Scottish Princess, build a tower with Rapunzel, and play with Sleeping Beauty’s forest friends. Create your own magical microphone with Cinderella and use it to sing with the Snow Princess. Included with general museum admission fees.